Inside & Out Cleaning Services provide several specialist commercial cleaning services. 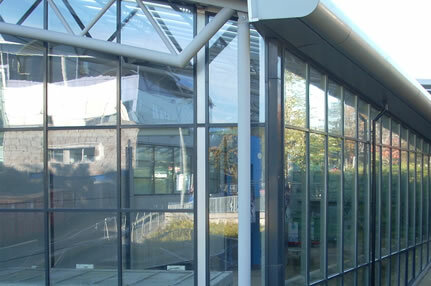 The main service we are well known for is commercial window cleaning. If your building or office requires a reputable commercial window cleaning service look no futher. Inside & Out Cleaning provide a professional, reliable window cleaning service which now covers a wide area around Saffron Walden where we are based. Our commercial window cleaning service covers Essex & Hertfordshire as well as Cambridge & Saffron Walden where we have many long term satisfied clients. We are compliant and always adhere to all the necessary regulations required for commercial window cleaning and pride ourselves on assuring you the best possible service at a very competitive rate. To discuss your requirements and get a quote please contact us.